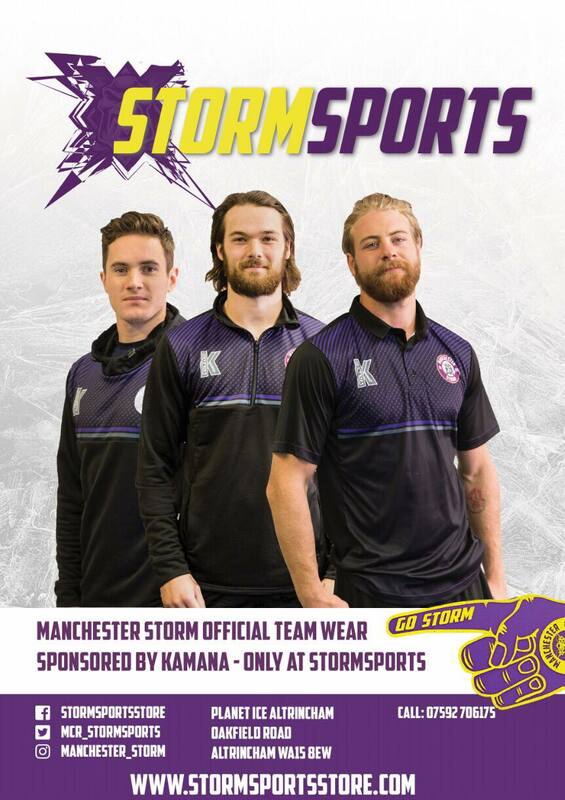 REPORT – Storm secure a point in NYD Sellout game! TICKETS: The Go Goodwin’s Manchester Storm welcome the Guildford Flames on the 7th January 2018, here at Planet Ice Altrincham in Elite League action! Tickets can be ordered online, by calling the box office on 0161 926 8782, or in person at the box office. 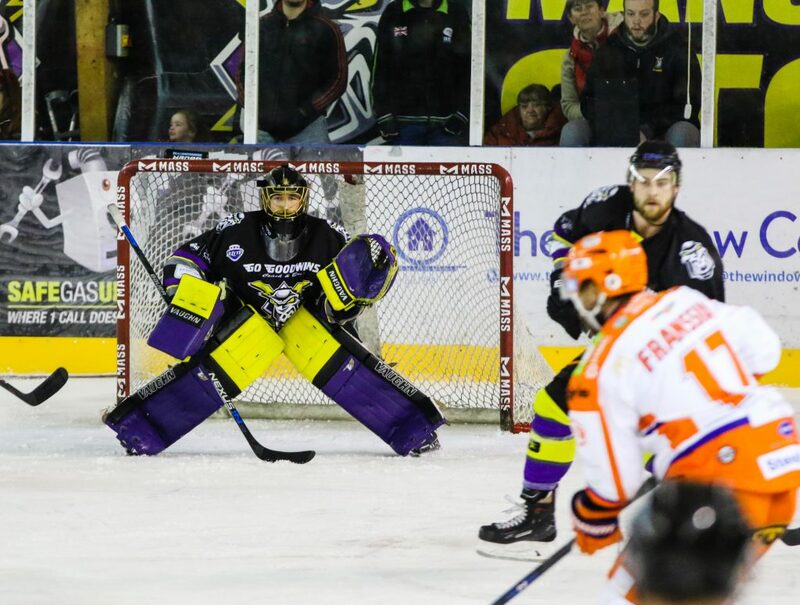 Your Go Goodwins Manchester Storm came away from their soldout game at Planet Ice Altrincham against the Sheffield Steelers with a vital point, as they lose 6-5 in a penalty shootout. 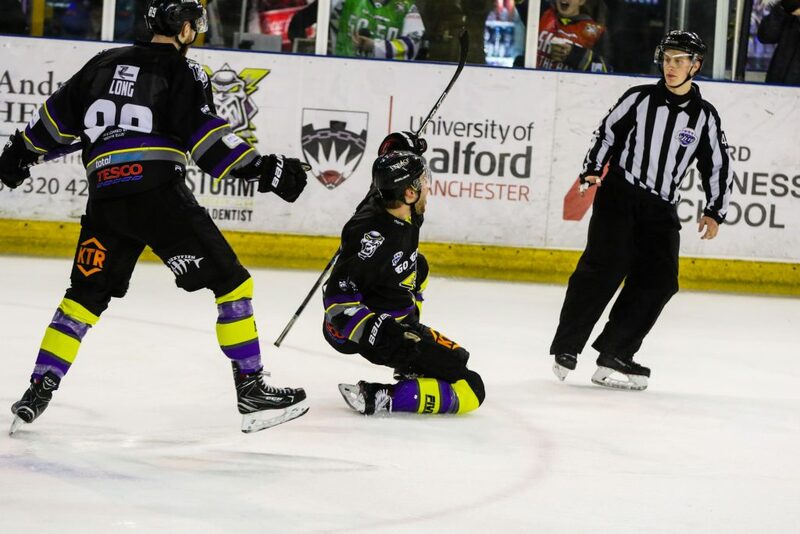 The heated game, which had seen plenty of exchanges between the two clubs on social media prior to face-off, saw the Storm’s Jay Rosehill and Steeler’s Tim Wallace both suspended for the game thanks to late decisions from the Elite League’s “Department of Player Saftey”. With Storm missing their captain, Head Coach Ryan Finnerty selected the Storm’s #9, Luke Moffatt to wear the C for tonights game. The opening minute saw the Storm go on the penalty kill with 20 seconds gone, with Bakker heading to the box. Despite this early setback, Storm continued to shoot and test the Steelers Ervins “Moose” Mustukovs, who was coming into the game with 4 consecutive shutouts to his name. However, with 12:51 to gone in the first, the Storm we’re able to end any chance of Moose getting another shutout, with Ryan Trenz grabbing the Storm’s opening goal of the night thanks to a Shane Bakker assist. The play continued to flow in one direct, with the Steelers defense and Moose, weathering a constant attack from the Storm. However, a turnover saw the Steelers break, and score their opening goal of the period, with Robert Dowd grabbing the visitors first, whilst on the power play, with 17:09 gone in the 1st. 10 seconds from the end of the period, Mathieu Roy doubled the Steelers score. Stand-in-Captain Luke Moffatt was able to tie things up with 1:37 gone in the 2nd period. However, the visiting Steelers were able to pull one back, with 10:40 played, after a constant barrage of shots against Mike Clemente in the Storm net. With just over a minute to go before the end of the period, Luke Moffatt grabbed another goal, assisted from Dane Byers, to tie things up heading into the final period. 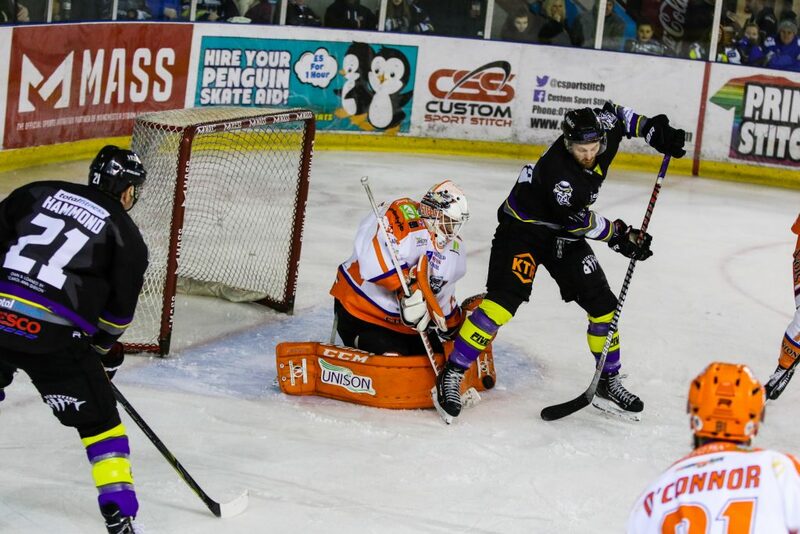 Sheffield needed just 21 seconds in the 3rd period to restore their lead with Colton Fretter grabbing the go-ahead goal for the visitors. Despite this, Storm continued to press hard for the equaliser, and with 3:34 played in the period, Luke Moffatt grabbed his third on the night – with plenty of fans throwing their hats on the ice in celebration! Less than two minutes later, and straight from a face off in the Steelers end, Gerard Hanson was able to give the Storm the lead once again, with him deflecting in the shot from his skate. Sheffield however, were able to find a way past Clemente with 16:04 gone in the 3rd, with MAthieu Roy grabbing the 5th goal of the night for the visiting Steelers. With no further goals scored in the third, or in 5 minutes of 3on3 sudden death overtime, the game went to penalty shots. The Steelers were able to blank the Storm, whilst Marquardt & Valdix both slotted home to give the visitors the extra point. Storm now turns their attention to the mid-week away game against the Fife Flyers on Wednesday the 3rd of January, before weekend games to the Nottingham Panthers away on Saturday, and at home on the Sunday to the Guildford Flames. Over 2100 tickets sold for tomorrow’s NYD game!